These are lyrics by Amber that we think are kind of repetitive. 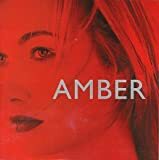 Amber's, "Sexual [Li Da De]"
ooh my god, its s bad as 'na na na' get over it! !